Made of birch wood and jewelry resin. Dimensions (lxwxh): 18 x 17 x 6 cm. 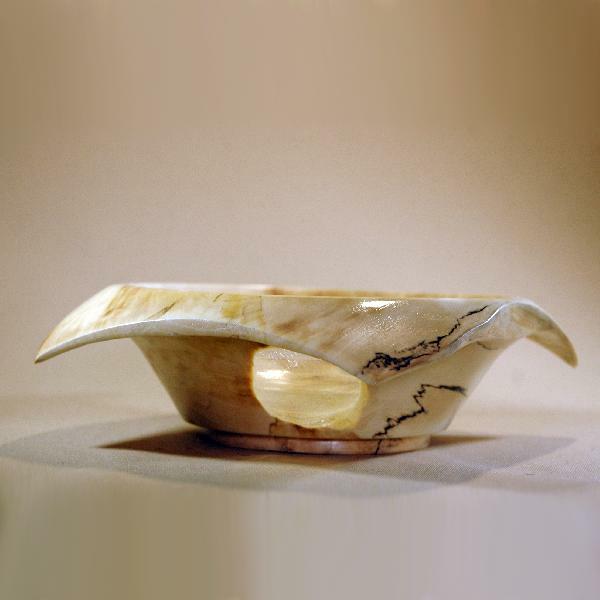 A small vase made of bright birch wood with "windows" of semi-transparent jewelry resin. Can by used as a candy vase or for storing small fruit.